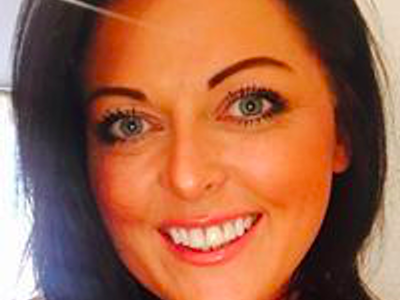 Lee Anne has worked for HSBC/first direct for 16 years progressing from a Customer Services Advisor to Executive Support Manager for the CEO HSBC Scotland, Alison McGregor. 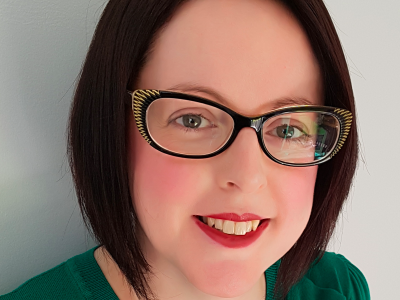 Lee Anne has undertaken many roles focusing on the customer experience, the development of the people and engaging with HSBC colleagues, across Scotland. In her current role, Lee Anne is responsible for driving collaboration across the Scottish businesses, building relationships with internal and external stakeholders and recognising and developing talent. As she is passionate about developing and coaching young adults, Lee Anne spends her spare time volunteering in the local community and enjoys working with the Prince's Trust to raise awareness of young people’s ambitions within the banking industry. 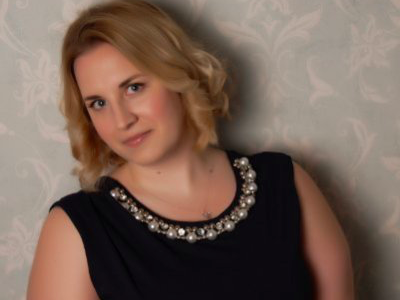 Elizabeth’s drive and passion shine through in everything she does, from leading Model Risk for the Barclays UK Business to Co-Chairing Reach, Barclays’ network for disability and mental health, inspiring others to become disability and mental health confident. Both roles have allowed Elizabeth to demonstrate her true leadership potential, bringing diverse teams together to achieve outstanding results. 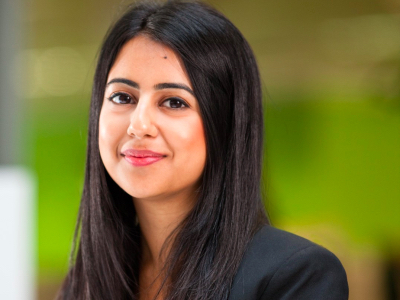 Elizabeth’s career at Barclays also includes a successful period as Senior Strategy Analyst in Customer Advocacy, delivering robust financial and commercial analysis and supporting high-level decision-making. This follows financial roles in other blue chip companies, including Next and Jaguar, where she began her career. Academically Elizabeth is a high achiever and has won several awards, including Student of the Year for her Postgraduate Diploma in Management with the Open University, the prize for Business Law in her examinations for the Chartered Institute of Management Accountants and achieved the highest mark in her Masters in Managerial Economics cohort at Durham University. Elizabeth grew up in Stoke-on-Trent and went on to study Geography at Durham University where she met her future husband. Elizabeth lives in Sutton Coldfield with her husband and two young children, where she works from home, commuting to London once or twice a week. Omolade works in corporate finance advisory within a Japanese bank, having previously worked in a global American bank. She is very dedicated, committed and displays outstanding qualities of a rising star, both at her work and personal engagements. As a vocal advocate for diversity, Omolade is on the team of the first Diversity and Inclusion forum in her firm. Omolade is a motivator and an influencer; she impacts courage to push people to reach their goals. Outside work, she volunteers her time as a personal mentor through the Birmingham Women in Finance mentorship program and other sources. She puts her inspiration down to growing up without mentors and having very limited information about her career options. 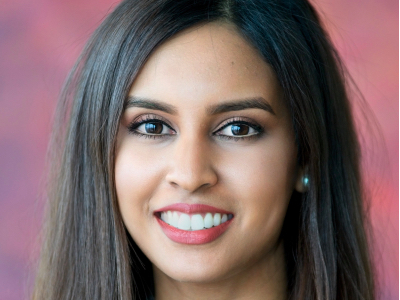 Due to her volunteering, entrepreneurship and local fundraising activities, she won a Jane Klausman Western European Women in Business scholarship. Omolade is a big advocate of international development. She is on the management team of NYPF (Nigerian Young Professionals Network), a society that harnesses young prolific Nigerians in diaspora with suitable contacts in Nigeria to foster the migration of talents back to the country. Additionally, she coaches youths in community-led societies on career related topics and she co-founded LSE Entrepreneurship & Businesses in Africa society. Jemma has 9 years’ experience across M&A and Debt Advisory and is currently a Vice President in the Debt Advisory team at Evercore and Head of the Ratings Advisory practice in Europe. Jemma Couchman was educated at Bedford High School and the University of Bath where she graduated with a First Class Honours Degree in BSc Business Administration. She achieved a position on the graduate programme at Rothschild and started her career as an M&A banker in the Utilities, Transport and Infrastructure team. Passionate about others succeeding in her industry, Jemma also co-founded Evercore’s Women’s Forum in Europe in 2015 where she remains the co-Head. At the age of 16 I knew University wasn’t for me. I’d worked from the day I turned 13 starting with a paper round and was also keen in making a start in building my own career as soon as I could. At 18 and a week following my last A-Level exam, I started my career in Banking in Bournemouth. I spent 16 years at the same Firm learning the ropes and embracing a variety of roles across different parts of the Banking world, which gave me a great opportunity to learn and grow. Seeking a change in both my personal and professional life, a little over two years ago I made the decision to move to London and joined Northern Trust. Since being in London I have truly expanded my cultural horizons and the differences / variety have really enriched my personal and professional experiences. She is now an Assistant Vice President at Deutsche Bank. At the time she earned delegated credit authority from the management board, she was one of the youngest in the division to make independent decisions on trade approvals and credit reports. Through her outstanding performance in Risk and the creation of her pivotal “Women in Risk” event she received a "Recognition Award". Only 10% of employees are awarded this honour. With a keen interest in Politics & Current Affairs, Abisola began her career at age 11, working alongside Local and UK Government, Metropolitan Police and others to ensure young people were included at the decision-making table. For over six years, Abisola sat on Government boards driving social change and inspiring others to make a difference. Abisola maintained her six AS and A-Level subjects whilst representing the organisations she supported to the UK National Media. 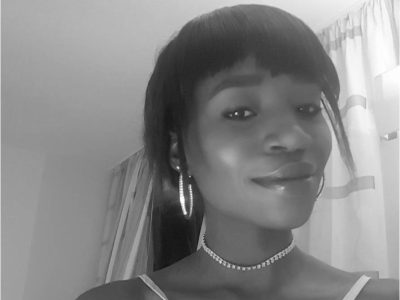 Whilst reading Philosophy, Politics & Economics at University of York, Abisola worked for the University’s Student Union, served on college student committees and partook in a range of societies – from Academia and Music to Sports. Abisola was selected by Google out of 200 applicants to attend their BOLD (Building Opportunities for Leadership & Development) programme in 2011; later returning to Google as her University’s Ambassador. Abisola additionally attended Spring Week and Work Experience placements at a range of Financial Services firms, including Blackrock and Goldman Sachs. Graduating with an Upper Second Class in 2013, Abisola spent her summer on the Barclays Internship programme before commencing her MSc in International Public Policy at UCL. 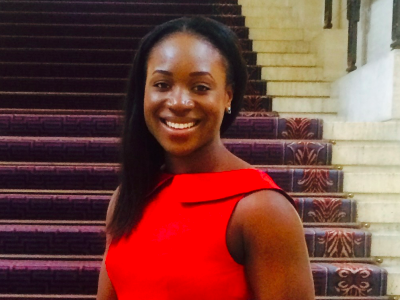 Completing her Master’s two months early and Passing with Merit, Abisola joined Barclays’ 2014 Graduate cohort. Holding two placements on the scheme in both the Corporate and Investment Bank, Abisola then made an impressive mark as a Project Manager whilst in Barclays’ Non-Core division, which truly escalated her career. Abisola currently works as a Trading Business Manager, supporting the division responsible for driving returns and managing Barclays International’s financial resources. At only 25 years of age, Abisola is seen as a trailblazer, with a long and fruitful career ahead of her. Away from her desk, Abisola gives herself to her pastimes. With a love of sports and fitness, she is often found in the gym, on the Netball courts or fundraising fitness events for charities. Having trained in Classical Music whilst at school, Abisola maintains her passion for choral music, singing annually at the Royal Albert Hall and performing with her Church choir – and finds relaxation in attending dance classes and performances. Known for her “contagious enthusiasm towards everything she puts her mind to”, Abisola is a firm believer in living life to the full, using the skills and talents she’s been blessed with, and making the most of every opportunity! 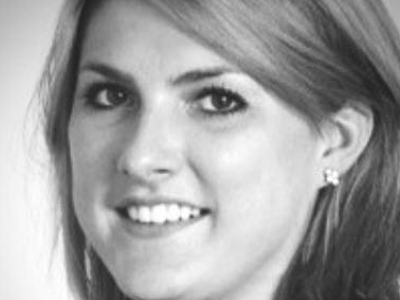 Jenny has 6.5 years’ experience within the banking sector. She started her career on the Graduate Scheme at Lloyds Banking Group, following her studies of Maths and Spanish at both Exeter university and Alcala de Henares university in Madrid. She then moved to the Financial Conduct Authority (FCA) miss-selling derivative project, initially as an Analyst, and then as a Team Lead managing 10 Analysts. Following this she worked in derivative sales for medium sized corporates, where she oversaw the risk management for a portfolio of London based clients primarily within FX and interest rate risk. 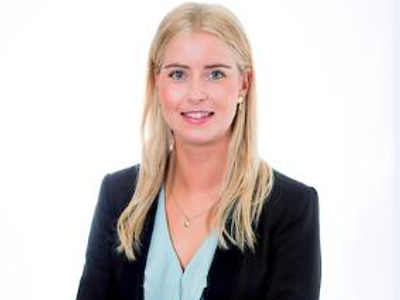 Jenny is currently working in the global corporate derivative sales team, supporting clients on their strategic risk management, mainly hedging interest rate risk. She is an active member of the Bank’s cultural working groups, and has supported and led many initiatives to improve the working life for colleagues, and improve the gender balance within the Bank. Outside of work, she is passionate about the study and exploration of wine, where she achieved a WSET (Wine and Spirit Education Trust) Level 3 qualification last year.